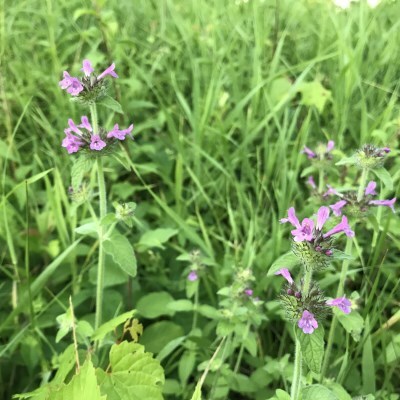 Deciduous or pine forest and savanna, sometimes in swamps but especially in dry sandy or rocky clearings, trails, or otherwise disturbed areas; gravel ridges, dunes, and shores; old fields, roadsides, gravel pits, and other disturbed ground; often somewhat weedy. Usually considered to be a native circumpolar species; North American plants are the weakly distinguished var. neogaea (Fernald) C. F. Reed. The leaves have short petioles (all or mostly less than 7 mm). These, and the more evident pedicels in the inflorescence, will readily distinguish this species from Blephilia hirsuta, with which it might be confused if the number of stamens is not obvious. Rarely the corolla is white rather than pink-purple. MICHIGAN FLORA ONLINE. A. A. Reznicek, E. G. Voss, & B. S. Walters. February 2011. University of Michigan. Web. 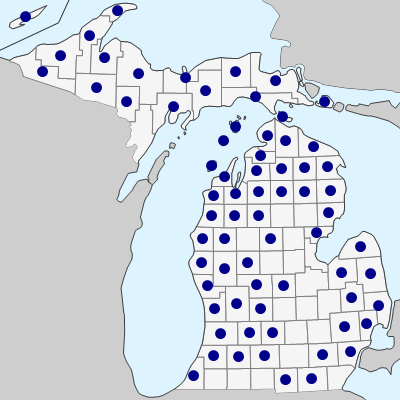 April 21, 2019. https://michiganflora.net/species.aspx?id=1541.